We are excited to launch our new and refreshed Hub Subscription plans for September 2019, following overwhelming take-up over the past year! 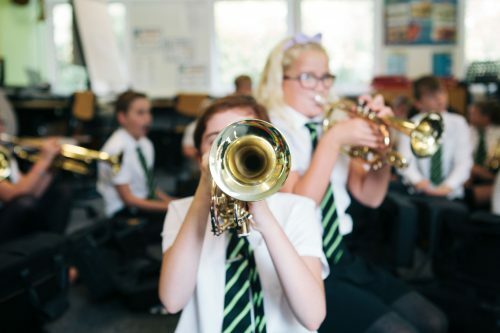 There have been several changes based on our commitment to fully inclusive delivery of the National Plan for Music Education whilst still remaining mindful of our locality-based needs. The first change of note is that there will now be four categories of subscription instead of three, with the introduction of a completely new package exclusively for infant schools. We are also extremely pleased to announce that our Whole Class Ensemble Teaching programme has been revamped and as a result we are able to offer one term of WCET to Year 4s in every primary subscribing school across the County completely free of charge! When you sign up for a WCET programme we will be able to confirm your timeslot. We will continue to support our secondary and complex needs subscribers through more targeted and bespoke support tailored to individual needs with a wealth of projects, Continuing Professional Development (CPD) and events to augment and support school life as a whole. On our Hub Subscriptions page you will find an FAQ section detailing the changes to our Subscription Packages for 2019-20 and the full terms and conditions of subscription. If you have any questions, please email musicservice@educatorsolutions.org.uk. King’s Lynn Festival presents Fontanella Recorder Quintet performance for schools.